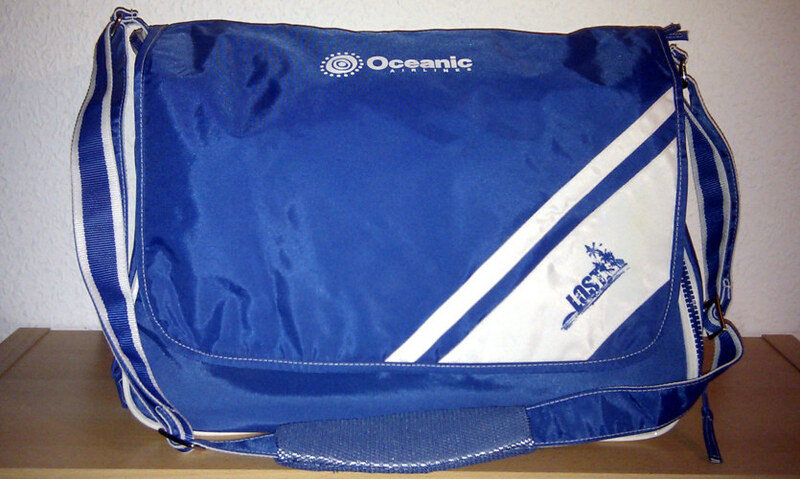 Blue and white large bag with "Oceanic Airlines" and "LOST" logos. The bag has a large zip pocket, two zip pockets on left and right side, a slim pocket on front side and a shoulder strap. Size is approx. 20 x 14 x 11 inches. Official merchandise from ABC.